Presidential Communications Operations Office Assistant Secretary Mocha Uson is once again in the hot seat after an award that was given to her sparked controversy anew. 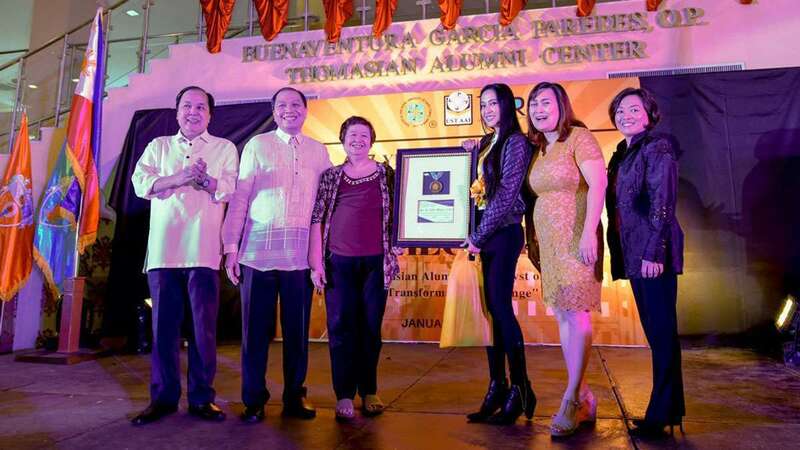 Over the weekend, the University of Santo Tomas (UST) Alumni Association presented Uson with the Thomasian Alumni Award for Government Service. According to the organization, individuals only need to be a UST graduate, and be in government service to be considered for the recognition. This move quickly drew criticism, particularly from the UST Central Student Council that conducted a rally to protest Uson’s awarding. The UST also issued a statement clarifying that this award didn’t come from the educational institution. Uson for her part fired back and said she was willing to return the award. However, some former recipients and other UST graduates have already expressed their dismay over the issue, as well as stating that they would like to return the awards they received from the alumni association. Among them were, Akbayan Representative Tom Villarin and New York-based poet and novelist Bino A. Realuyo. Meanwhile, Senator Joel Villanueva said he was thinking of returning his award. Former Health Secretary Dr. Carmencita Noriega-Reodica, who was the recipient of the Outstanding Thomasian Alumni award in 1997 also said she will be giving back her prized plaque of recognition since it has already lost its significance.